The nursing home where former nurse Elizabeth Wettlaufer killed multiple patients had concerns about her state of mind for years before it eventually fired her, CBC News has learned. In August 2011, staff at the Caressant Care Home in Woodstock, Ont., recommended that Wettlaufer take a leave of absence. Wettlaufer refused, and in weeks went on to kill three patients — Gladys Millard, Helen Matheson and Mary Zurawinski. In August 2012, the home again had concerns about Wettlaufer and her patients' safety. It warned Wettlaufer that it might report her to Ontario's licensing body for a fitness to practise hearing, which might have put an end to her career. Instead, Wettlaufer was allowed to keep her job and racked up more suspensions and warnings for medical errors. She went on to kill two more patients at Caressant Care before she was fired in 2014. In testimony at Wednesday's public inquiry into the murders, former Caressant Care administrator Brenda Van Quaethem said that it was cheaper to give Wettlaufer warning after warning than it would have been to suspend her without pay. Wettlaufer's union often grieved suspensions, and if the grievances were successful the home would have been on the hook for back pay and possibly damages. That money would have come out of a fund dedicated to patient care. When Wettlaufer was eventually fired — following numerous warnings, a one-day suspension, a five-day suspension and a string of medication errors — she still managed to receive a letter of reference from Caressant that called her a "good problem solver with strong communication skills," and said she left the home to "pursue other opportunities." Van Quaethem said she did not review this letter of reference before it was sent. Although Wettlaufer worked for years without suspension, her colleagues sounded the alarm about her behaviour on several occasions beginning in 2012, according to Van Quaethem's testimony. Neglected a resident's breathing problems, allowing the resident to suffer for three days without treatment. Made a resident wait for pain medication. Made another resident wait for sleeping medication. Moved a resident who fell from bed and was suspected to have broken a hip. Wettlaufer also punctured a hematoma on the resident's leg with a pair of scissors that were not confirmed to be sterile. Forgot to treat a resident's finger wound because she was busy. Although Wettlaufer received warnings, she was not suspended. Later that same year, another PSW and a registered practical nurse (RPN) wrote their own letters to administration about Wettlaufer's behaviour with residents. The RPN said other colleagues had also wanted to write Wettlaufer up, but that they didn't see the point. "She's still here. Nothing ever happens," the RPN wrote in her letter to management. 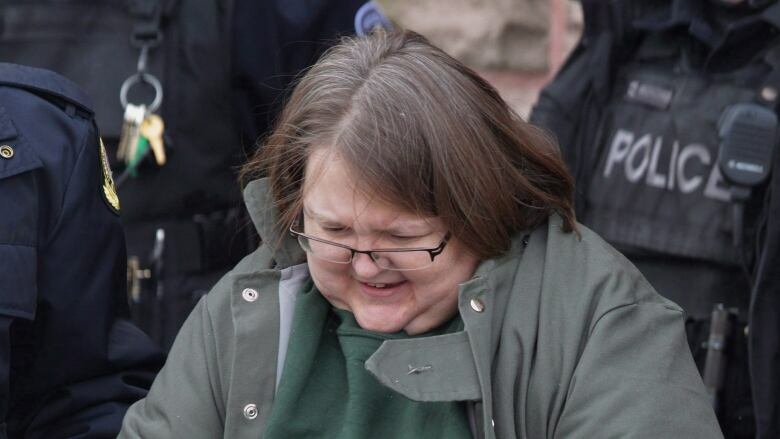 Wettlaufer was eventually fired in March 2014 after loading the wrong insulin into a pen, which resulted in a resident getting an incorrect dose over the course of a weekend. Van Quaethem testified that she had to get permission from head office for the termination, and that Wettlaufer grieved the termination as well. There were so many incidents of misconduct that, when Van Quaethem filled out a termination report to the Ontario College of Nurses, she couldn't include all of them. She ran out of room on the form. Speaking through tears at the Elgin County Courthouse, Van Quaethem apologized to victims and their families. "I'm sure you're all sitting here thinking, 'How could you not report this, how could you not report that.' You're dealing with so many things and trying to do your job the best you can," she said. "It didn't cross my mind that she was harming residents." In cross-examination, Van Quaethem said Wettlaufer was not the only staff member to make medication errors. The nursing home's difficulty in recruiting and retaining long-term care staff could have played a role in how Wettlaufer was allowed to continue practising for so long. Nights were particularly difficult to staff, and Wettlaufer would often be the only registered nurse on duty during those shifts, said Van Quaethem. The home was required by law to have at least one registered nurse on duty at all times. Lawyer Alex Van Kralingen, who represents four of the families involved in the case, said the day's testimony was troubling. "A nurse who should not have been there, or who in any other circumstance may have been terminated much earlier, was allowed to stay simply because there were repercussions of not having any nurse there in the environment at the time," said Kralingen. Van Quaethem was the first to testify on the second day of a public inquiry into how Wettlaufer was able to kill eight nursing home patients and attempt to take the lives of six others in southwestern Ontario. The four-month inquiry was called after Wettlaufer confessed to the murders while she was working in long-term care homes in Woodstock, London and Paris. She was also working in private homes in the area. The inquiry won't answer why Wettlaufer killed, but will instead investigate how she was able to keep killing for so long, and what needs to change to prevent future killings in Ontario's long-term care system, said Mark Zigler, co-lead counsel for the inquiry. Documents posted online have revealed a string of red flags in Wettlaufer's career, beginning when she was a new graduate. Justice Eileen Gillese is the commissioner overseeing the inquiry, which is expected to last until September.